We provide Bleached Kraft Paper Bags in the global market. 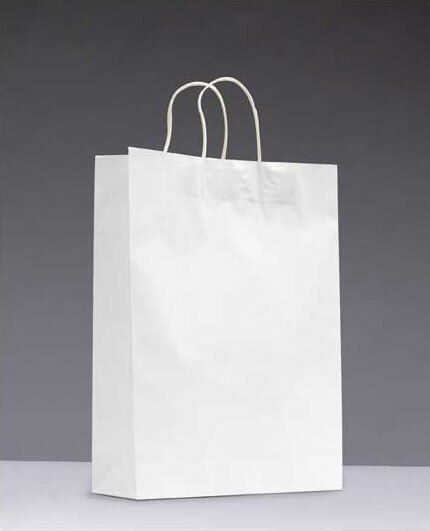 The Bleached Kraft Paper Bags are widely used by FMCG industry and Bags industry. We provide Bleached Kraft Paper Bags in assorted sizes, colors, and styles to meet the diverse requirements of the clients. We offer Bleached Kraft Paper Bags with Twisted Rope Handles. The clients can avail the Bleached Kraft Paper Bags from us at reasonable price. Packaging Details : The products are packed with supreme quality packaging material and labeled to avoid damaging of the products. The products are delivered at the client's destination at the given time line.